Rose, Rosemary, Sage, Mint, Agastache, Apple, Cherry, Peach, Pear, Plum and Salsify. Colourful petunias, nasturitums or other annual flowers that contrast with lavender’s gray-green foliage and blue flowers. Start seeds indoors and set out at about the time of your last frost. Some strains are propagated only from rooted cuttings. 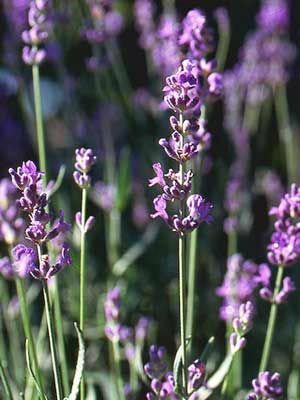 A mature clump of lavender will grow to 60 cm (24") wide.